If you’ve called to book an appointment with your family doctor recently, you may have been told that there are no appointments available or have been advised that it would be several days before the office can fit you in. With the recent influx of formerly uninsured patients entering the healthcare system as a result of the implementation of the Affordable Healthcare Act, doctor’s appointments are sometimes hard to come by. An attractive alternative is an appointment with a physician assistant (PA). 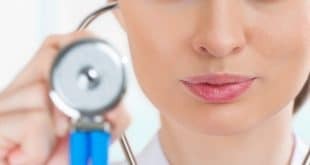 Before you dismiss the idea of a visit with this medical professional, take the time to learn how seeing a physician assistant might just be the perfect answer. Although doctor’s offices and other medical facilities are hiring and utilizing PAs in increasing numbers, many patients are still unsure what PAs are all about. In a nutshell, a PA is a medical professional who is nationally certified and licensed by the state in which they practice. PAs complete a three-year graduate-level training program and provide 2,000+ hours of medical treatment to patients via clinical rotations in a number of general and specialty areas. If you’re concerned that a PA may not be able to meet your medical needs, think again. PAs can see patients, perform physical exams to diagnose medical conditions, order tests and assess their results, prescribe medications, assist physicians with surgery and even continue your healthcare in a hospital setting. PAs must also work closely with a supervising physician who oversees the care they provide to patients. 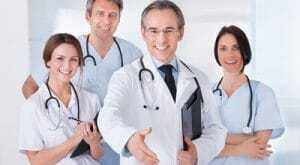 Are There Benefits to Seeing a Physician Assistant? Seeing a PA offers multiple benefits to patients. Doctor’s offices typically charge less for a visit with a PA than they do for a visit with the doctor, saving you money when you see a PA. PAs often have a greater availability than the doctor, making it easier to get an appointment quickly. Patients also report that PAs often have more time to spend with them and aren’t as rushed as physicians may be. Increased time spent with their healthcare provider allows patients to receive answers to all of their questions by the end of the visit and to fully understand the state of their health. Whether you opt to wait for an appointment with your family physician or book a visit with a physician assistant is entirely up to you. Since PAs are fully trained and qualified, however, making the most of their expertise is a benefit that you should take advantage of when it comes to the healthcare of you and your family.